AT&T customers could be getting a check in the mail soon. On Monday, Aug. 8, the Federal Communications Commission announced a settlement with AT&T ordering the telecommunications company to pay $7.75 million for allowing scammers to charge its customers for a service that did not exist. 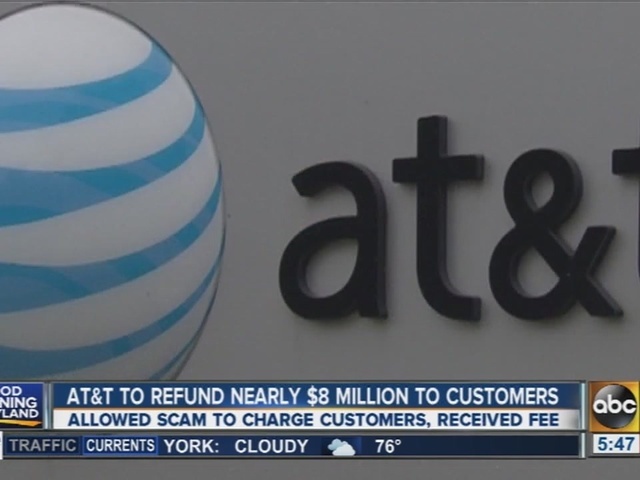 The scam charged customers $9 a month for a sham directory assistance service, and AT&T received a portion of those funds. The U.S. Drug Enforcement Administration uncovered the sham while investigating drug-related crimes and money laundering committed by the scammer. Thousands of affected customers, including many small businesses, will receive a total of $6.8 million. AT&T will also pay a $950,000 fine to the U.S. Treasury. Customers will receive a check from AT&T within 90 days. In 2014, AT&T was required to pay $105 million in fines and refunds to customers for unauthorized third-party subscriptions and premium text messaging services.